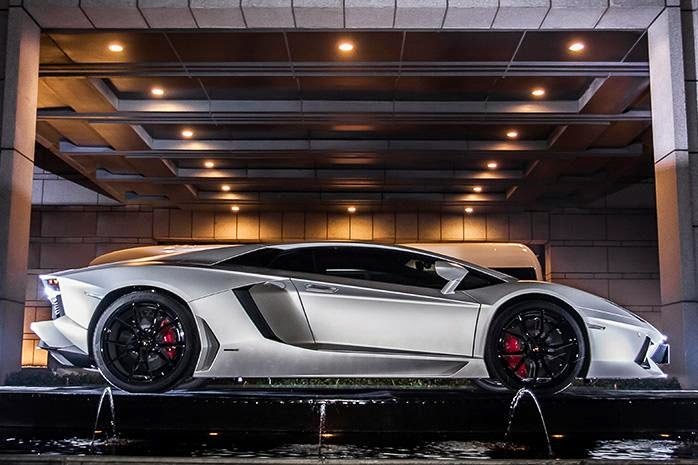 Towards the convening of the Beijing Motor Show 2014, in a special edition of the Lamborghini Aventador has been designed for Jackie Chan, the legendary Hong Kong actor. The car is dubbed Lamborghini Aventador Jackie Chan Edition, it has been customized through the Lamborghini's Ad Personam program and coincides with the 60th anniversary of Jackie Chan. As quoted from GT Spirit, the details about Aventador Jackie Chan Edition is not clear, but when the car was first performed at a charity event on Jackie Chan's birthday, will see some of the features that distinguishes it from other Lamborghini Aventador. The first difference, this car comes with a unique titanium gray exterior paint scheme along with shiny Nero Ade alloy wheels offset red brake calipers. In the interior, Lamborghini Aventador Jackie Chan Edition will be adopts a red and black theme along with the word "Long" embroidered in the headrests and doors as a reference to the actor's Chinese name - Cheng Long. Lamborghini Aventador Jackie Chan Edition will use the same engine as other Aventador, the 6.5-liter V12 engine which capable of spraying power of 692 hp. This car was not actually owned by Jackie Chan, but will be auctioned off and donated to "Jackie Chan Charity Fund" to support the development of the China's film industry.